76% cotton / 24 % polyester. This hood has subtle monochromatic stripes with reverse color sleeves, trim and hood. Please select option for Camp David Dressed Up Striped Hooded Sweatshirt. 60% cotton/40% polyester hooded sweatshirt. 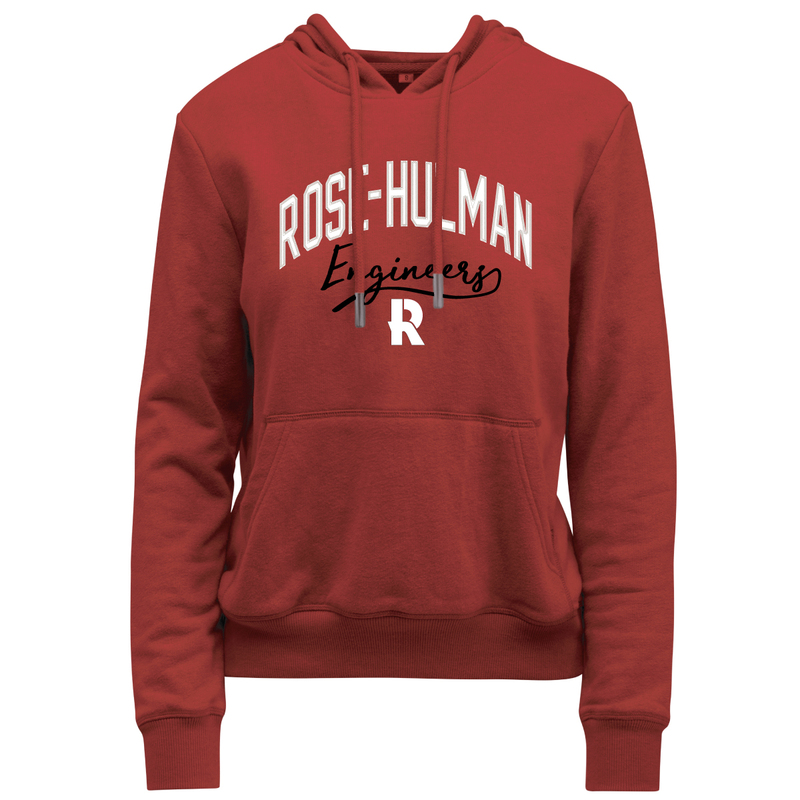 ROSE-HULMAN is cotton material, Engineers is Embroidery and "R" is embroidered. Please select option for Camp David Hooded Sweatshirt. Camp David two-tone gray and white hooded sweatshirt. 51% cotton / 49% polyester. 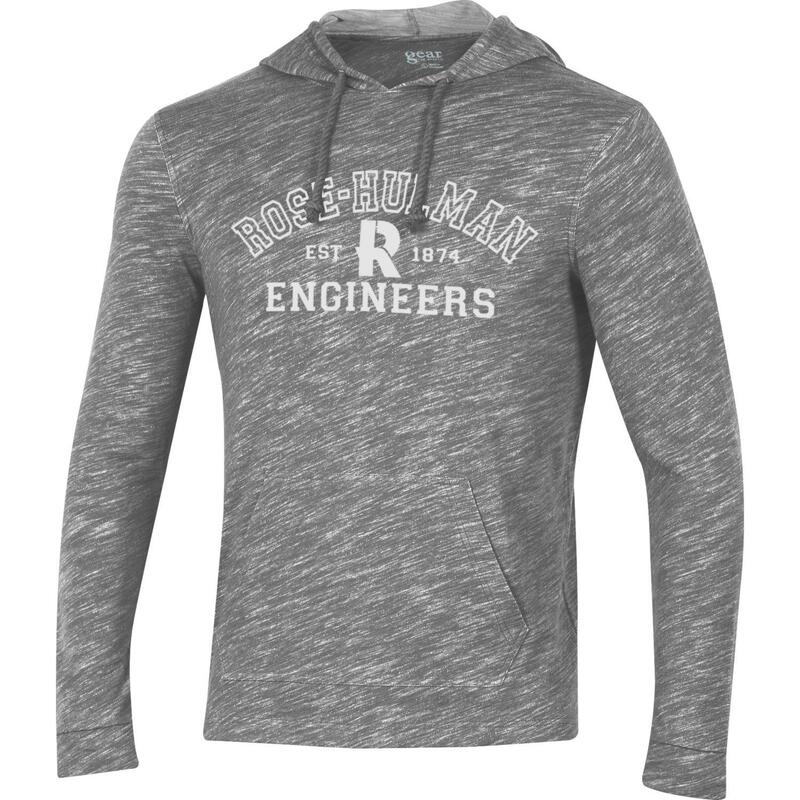 Imprinted "Rose-Hulman" over "18 -- R -- 74" over a pouch pocket. Lighter weight material. Perfect for chilly days. Please select option for Camp David Two-Tone Hooded Sweatshirt. 50% cotton, 50% polyester. 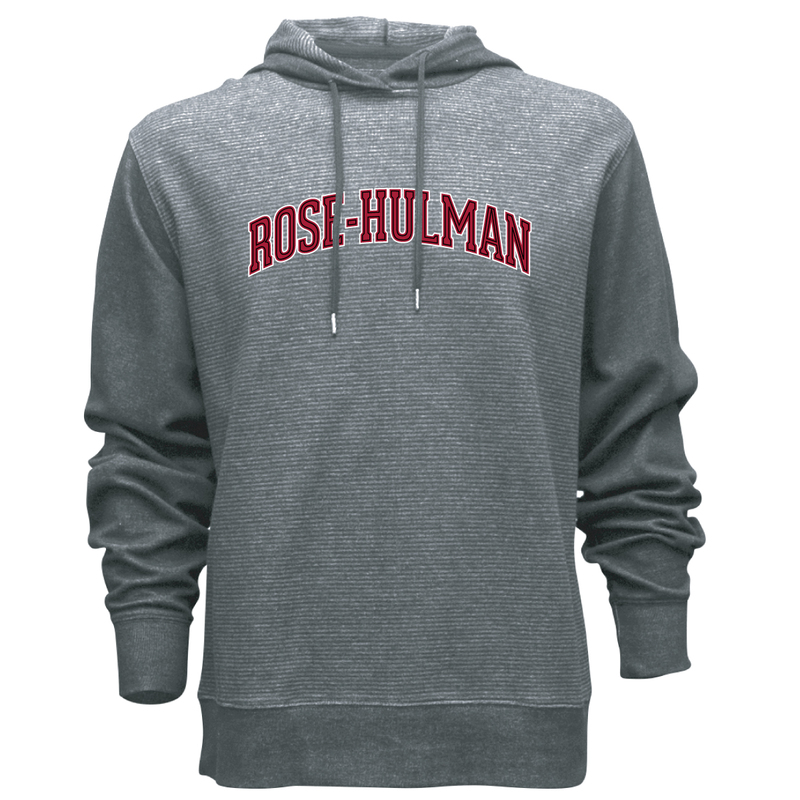 Embroidery of "Rose-Hulman"
Please select option for Champion Hooded Sweatshirt. Champion cardinal hooded sweatshirt. 72% cotton / 28% polyester. "Rose-Hulman" in felt lettering on the chest. Please select option for Champion Premium Fleece Hooded Sweatshirt. CI Sport charcoal "soft-touch" hooded sweatshirt. 80% cotton / 20% polyester. Embroidered "Rose-Hulman Institute of Technology" over "Engineers" over Rosie the Elephant. Please select option for CI Sport Hooded Sweatshirt. CI Sport Hoodie. Embroidered "Rose-Hulman" over Rosie the Elephant logo. 55% Cotton, 45% Polyester. Please select option for Gear Hooded Long-Sleeve T-Shirt. This 100% cotton hood is a unique color and has a tonal draw cord. Imprinted arched Rose-Hulman over est - R - 1874 over Engineers. 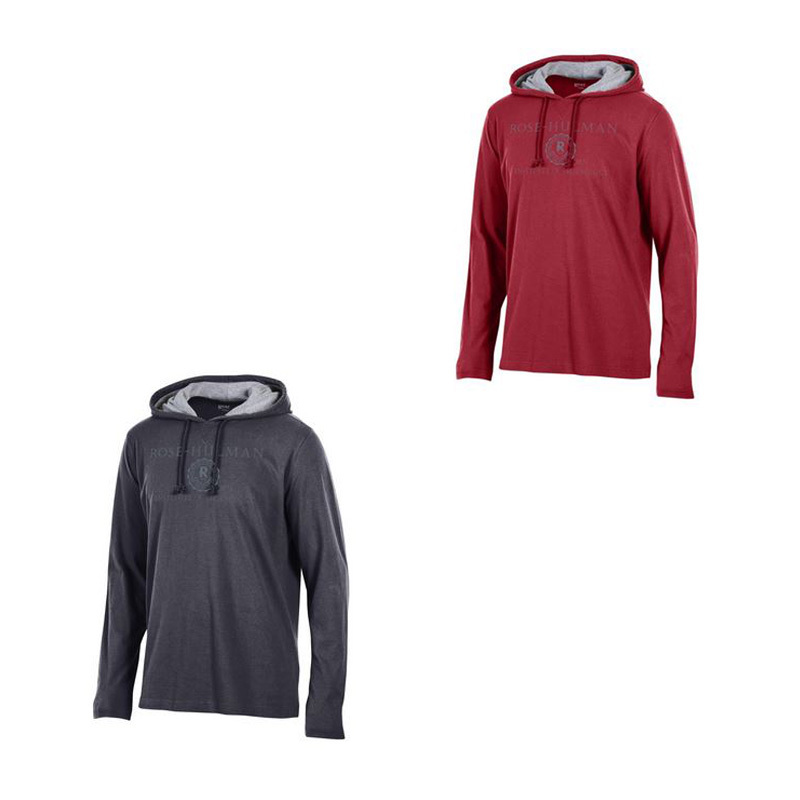 Please select option for Gear Long Sleeve Slub Hooded Sweatshirt. This 11oz. sweatshirt is made from 80% cotton/20% polyester. 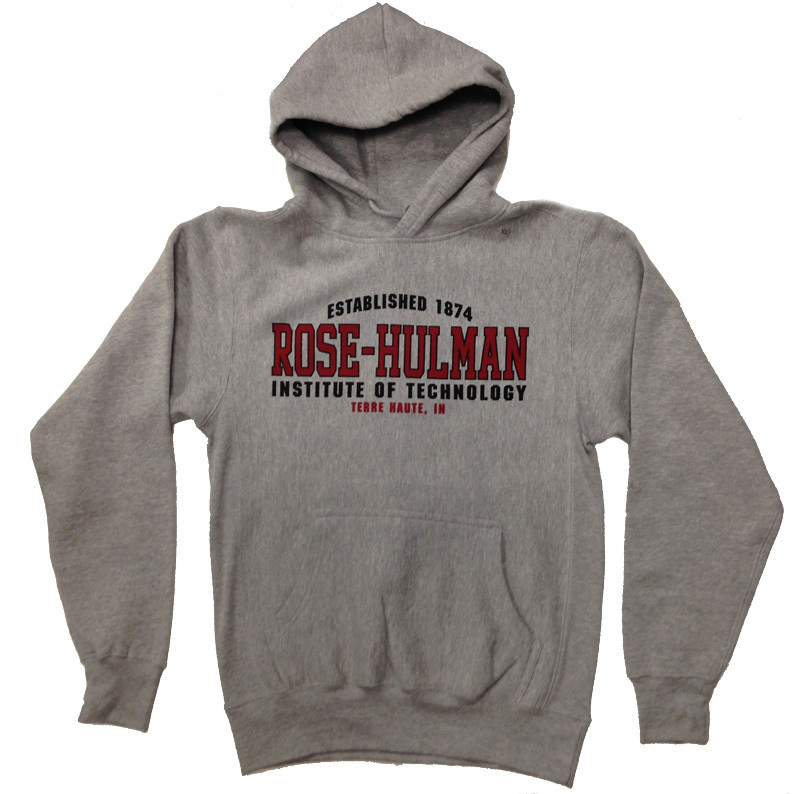 Imprint is "Established 1874" over "Rose-Hulman" over "Institute of Technology" over "Terre Haute, IN"
Please select option for MV Sport Hooded Sweatshirt. MV Sport Hooded Sweatshirt. Imprinted "Rose-Hulman" over "Established" over "1874" over "Engineers" over "Terre Haute, IN". 55% Cotton, 45% Polyester. MV Sport Hoodie. Imprinted "Rose-Hulman" over "Established" over "1874" over "Engineers" over "Terre Haute, IN". 55% Cotton, 45% Polyester.